Dr. V. Ganapati Sthapati took great effort in recording, in writing, the fifty ‐ thousand verses of the Pranava Veda that Veerabathiranar recited to him. 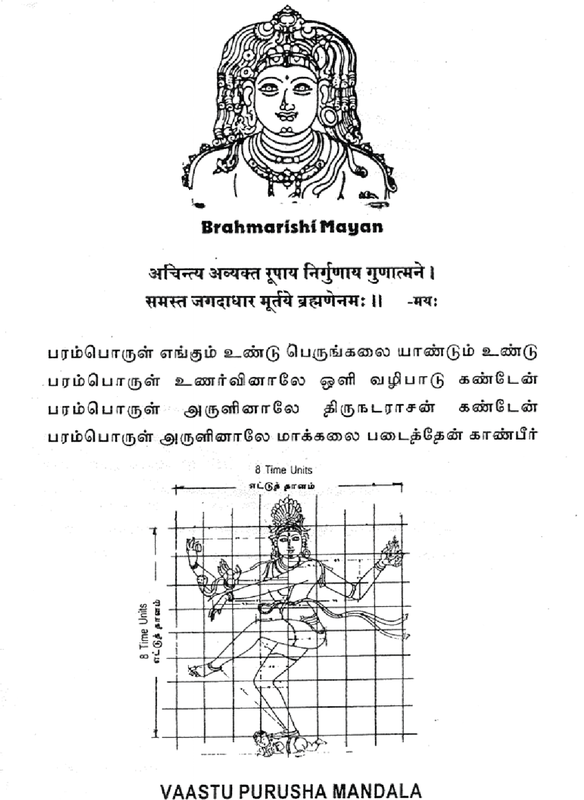 The Pranava Veda is one of the oldest Tamil Works available today. It is presented as the source of Vedas by Veda Vyasa himself (compiler of the Vedas). This scripture deals with the basic principles of Light, Sound, Space, Time and Self (individual and Universal soul). The working pattern of the basic two aspects of Pranava (OM) – OM light and Om sound is the core subject of this work. The nature of Primal Light is analyzed in terms of visible rays, invisible rays, sparks and flames, which are constantly working. In inner cosmos and outer cosmos, (inner cosmos is within every Human body) the nature of Primal Sound is analyzed in terms of audible and inaudible sounds which go hand in hand with the Luminous rays and sparks. The Pranava Veda establishes the truth that there is the basic source of Primal Light, which emits trillions and trillions of luminous beams, which are classified into three – solar, lunar, and fiery. All the visible luminous bodies moving in the near and distant heavens derive their energy only from this Basic Source of Primal Light… The Pranava Veda speaks elaborately on the 64 square grid, micro-­‐abode, fivefold manifestation, five cosmic elements, the positive, negative and neutral interaction between the five cosmic elements and above all the unfailing total identity and correspondence between the inner cosmos (human body) and the outer cosmos. The Pranava Veda, which is replete with basic principles and concepts of the ever – expanding universe and the visible and invisible cosmic structures, is sure to benefit the reader in great measure. One can see the depth and elegance of the Pranava Veda by reading the following verses by Mayan. They are at once, science and spirituality – the physics of the Divine. Om Light and Om Sound are the Primal Source of all manifest forms. Om Light is aroused by its own effort in a state of disorder and appears as a flame. The state of Om Light and Om Sound in Space is a magnificent luminous six – faced Light form that is called “murukoli”. The transformation of Om Light and Om Sound through the five stages is concealed in the five fold knowledge, of which, this is the first. This process of transformation of disorderly Om Light and Om Sound into orderliness is found in all five fold material forms. The self-effulgent luminous light transforms itself into a flame, which spreads in all directions as a creative light. This light infuses the invisible and visible spaces creating a mathematical order, which is ever existent. Vibration of Om sound and the magnificent force of cosmic light generates sound (sound particles). Vibrant stillness of Om Light creates a beautifully spread immense flame. These two verses form the basis for understanding what is called the manifestation process – how the unbounded Space or Consciousness becomes bound as material form – the drama of life unfolding. Earlier weeks we learned about Vastu Science, Vaastu Science and Technology and Mamuni Mayan. This week we will learn about Pranava Veda and other great works by Mayan. This phrase by Veda Vyasa, the compiler of the present day Vedas, means that there was only one Veda in the remote past and that Veda is called Pranava Veda – the Veda of the shilpis of India. Artharva Sheershopanishad makes mention of the term “Pranava” as being “ongara” – the all-pervasive substance. What we see above is called the “Five fold Veda.” This is the “source” Veda that presents the scientific manifestation process (Pranava Veda) and the four products of that manifestation (poetry, music, dance, and architecture). All of these “forms” (poetry, music, dance, architecture) are generated from the Unmanifest Space or Brahmam based on SPACE, TIME, SOUND and LIGHT which give rise to all aural and visual forms in the manifest world. In this science and technology, each of these manifest forms of paravastu or Vastu are governed by a common grammar of Kaala manaa (time units) called Taala maana.The dominant and all pervasive element in the creation of these forms is the concept and process of the unmanifest becoming manifest by its own creative nature. Based upon this theory of manifestation, and to signify the Five Fold Veda, the Shilpis have created a form with five heads. 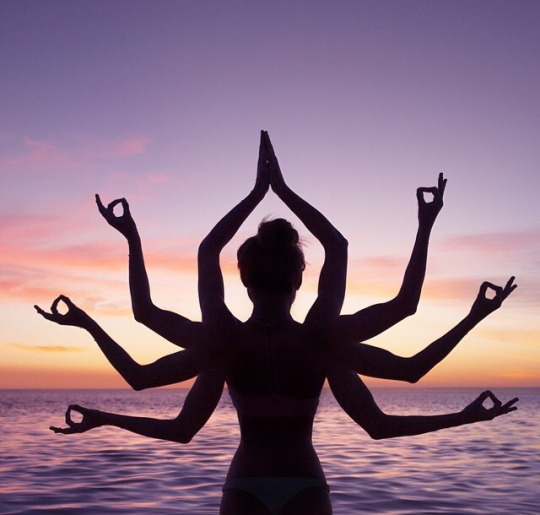 This form is called Vishwakarman. It represents the five Vedas, that is the Pranava Veda which is the instruction manual for how the Unmanifest (Vastu) turns Itself into Manifest creation (Vaastu) and the four products of that manifestation (poetry, music, dance and architecture). Mayan was an individual who had the depth and clarity of perception to understand the physics of manifestation of Pure Consciousness (Absolute Space) from its unmanifest state (Vastu) to its manifest state (Vaastu). Through precise mathematical formulas Mayan was able to recreate the process of pure consciousness (Absolute Space) becoming conscious and awakened in structures such as buildings, temples, statues, dance, music and other forms of expression. These structures created in this way became “live” or living structures. One might say that through the knowledge of “consciousness becoming conscious,” life was breathed into forms and structures. and vibrant “just as life is within the space boundaries of our flesh and skin” (oral commentary by Dr. V. Ganapati Sthapati). Mayan the architect and town planner of India and the progenitor of Vaastu Shastra lived in the southern part of the Indian subcontinent, known as Kumari Mandalam (Lumerian Continent), some ten to fifteen thousand years ago. He is the author of Mayamata Vastu Shastra and Surya Siddhanta, the two great works, which are still alive, being used by scholars and practitioners, all over India. They have revolutionized the erstwhile material culture of India into a spiritual one and today they are known worldwide and admired for the rich scientific material, they contain. References about him are found in our epics Ramayanam and Mahabharatam. 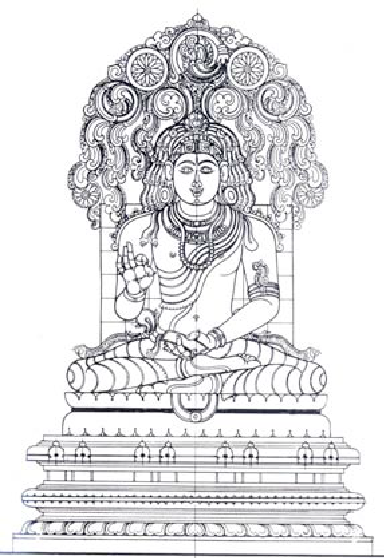 In Mahabharatam, he is found to have been introduced by Veda Vyasa to Arjuna as Viswakarama – “ahamhi Viswakarma vai dana vanam mahakavi’ – I am the Viswakarma (the creator) and the great poet of the Danava clan. It shows that he was adored as the poet of Danavas and as Viswakarma, implying thereby that Mayan was aware of the dynamics of the Space and was able to apply the space-mechanism in his own creations and transform them to little universes on earth. Whatever be the creation, a building, a sculpture, a town or a city, they behaved like living organisms pulsating with life. Hence he was rightly called Viswakarma of the material world or sometimes as the Viswakarama of the celestial world. No scientist of his caliber or status is found to have emerged in the soil of Bharat to date. originated in the Kumari Continent, Mayan being the author. The text in technical Tamil, as the Siddha literature of the Tamils, is getting printed and likely to see the light of day before long. In this mandala Shiva or Nataraja, represents the scientific principle of vibrating pure energy and depicts frequency in the Absolute Space/Time continuum. The form is both male and female with the left side and upturned foot being the female aspect of creation – Shakti. This will be discussed in more detail later. Mayan took these fundamental principles and applied them to all manifestations of consciousness. Thus, the force of Kaalam (Absolute Time, pulse, frequency) was seen to influence the entire cosmos. Mayan articulated these and other principles in a number of texts including the one million verses of the Pranava Veda. Next weekend we will see a brief overview of Pranava Veda and Aintiram. Earlier we saw a brief introduction about the Vastu Science and Vaastu Science and Technology. Before going into details, let me introduce Mamun Mayan (Great Sage Mayan), our ancient Father of Science to all. A great scientist/ artist named Mamuni Mayan (between 10,0000 and 13,500 years ago) originated this ancient work, Vastu Science and Vaastu Science and Technology. 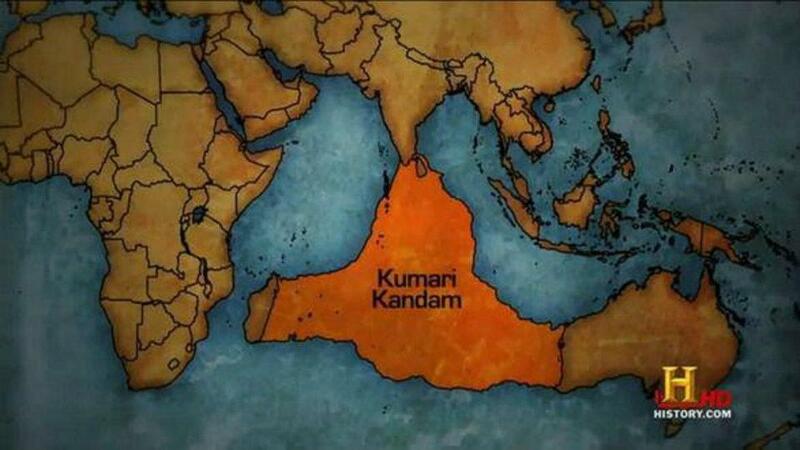 Mayan lived on a landmass south of India, south of the present Kanyakumari, known as Kumari Continent or Kumari Kandam. This landmass was called Kumari Mandalam during Sangam days (a period of time in ancient history when scientists and scholars met and shared their ideas, literature, music, art, and scientific discoveries) and today it is known as the Lumerian Continent. This is thought to be the original home of the human race and human culture according to ancient texts. In addition to the traditional building and manufacturing arts, under the umbrella of Vaastu Science falls the five Fold Science: Poetry, Music, Dance, Sculpture, and Architecture which correspond with the traditional science of Iyal, Isai, Natam, Kattidam, and Sirpam in the Tamil tradition. 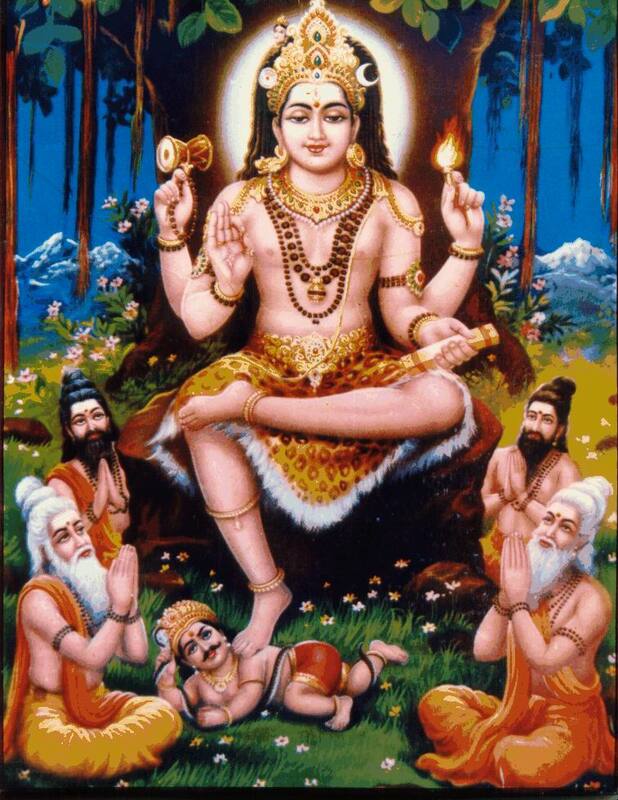 In Sanskrit they are called Sabda Veda, Gandharve Veda, Natya Veda, Sthapatya Veda, and Pranava Veda. They are all governed by a unique grammar of the science of Energy and Matter, Space and Time, and Rhythm and Form. The fundamental nature of these elements is revealed in the ancient text, The Pranava Veda. This is none other than the Science of manifestation. That is, the science of how the Infinite Energy (Vastu) transforms itself into matter or form (Vaastu). During the time of the Pranava Veda, India was united as one great country whose borders spanned to Persia, Afghanistan, Nepal and into Cambodia and the Far East. There was no caste or division by religion or color. This Unity also reached to Kumari Continent that once existed in the South Ocean below India but was deluged by water from the melting icecaps (circa 10,000 BC). This fact has been revealed in the Bhagavatam, Sankalpa, Saivagama, and other sources. Due to a series of land disturbances, including ocean water encroachments from melting icecaps and deluges, the continent became a series of islands and other landmasses separated by the ocean. One large island called Jamboo Dweepa was the home of Mamuni Mayan. Just before the last great deluge (perhaps the Biblical flood of Noah) that covered Jamboo Dweepa with water Mayan migrated to Southern India. During that time, he established Vastu and Vaastu as a dynamic science and technology. His work covered numerous areas including architecture, sculpture, dance, music and other art forms, astronomy and astrology, and herbology. To give credit to the progenitor, Mayan, and to differentiate this science from incomplete forms of Vastu that predominate in this and recent centuries, we call this entire field of study Mayonic Science. We will see more about Mayan influences around of the world tomorrow.